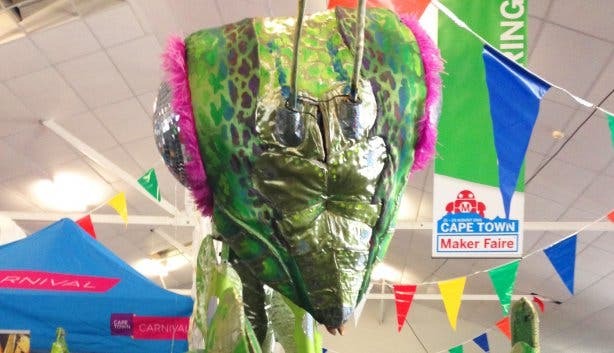 A little while ago, the Maker Faire came to Cape Town and Tom and I made a point of popping in to suss out what it’s all about. We’d been to KAT-O’s #TechTalkCPT Makers & Innovators event featuring Omar-Pierre Soubra (one of the original Maker Faire initiators), and his infectious enthusiasm convinced us that the Maker Movement could be a very good thing for South Africa indeed. Upon arrival, we were greeted by an array of Mad Max-esque cars straight out of the Burning Man Festival, with definite steam-punk flair. A kid almost took us out in his remote-control car and a giant robot stood guarding the entry in all his ten-foot tin glory. Inside, things got even kookier with a menacing-looking mantis overlooking proceedings and numerous stalls and stations dotted around, displaying 3D printers, tech trinkets, gadgets and gizmos. We wandered around and what struck me most was the excitement buzzing from the kids attending the event. There was a station full of children and cardboard boxes, where little ones could turn plain brown squares into anything, from super-robots and mansions to rocket ships and computers. It made me miss those days of imaginative play, when it was so easy to slip away into a world of utter concentration and possibility. 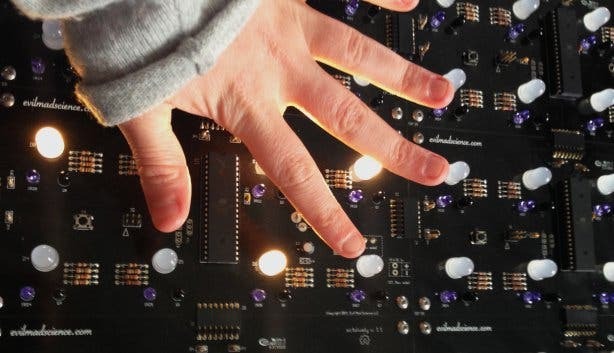 What appeals to me about the Maker Movement is that kids are exposed to an invaluable freedom to explore and imagine – to put parts together and see what happens. The Maker Movement is about encouraging exactly that – and not just for children but adults, too. It’s DIY on steroids, where individual innovators are encouraged to meet, share ideas and collaborate in order to create sophisticated new technologies and tools. It started in 2005 with the launch of Make magazine and has since expanded into a global trend that fuses engineering, industrial design, manufacturing and education. 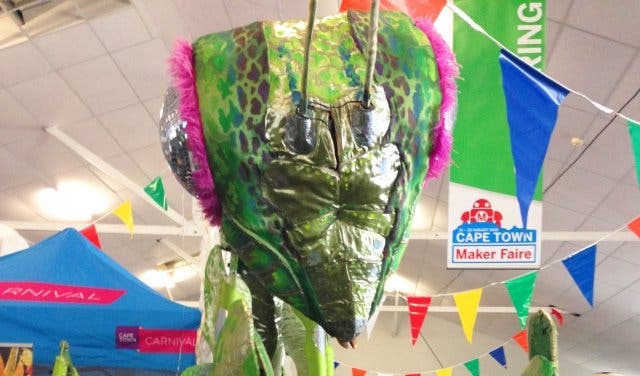 The Maker Faire is a celebration and showcase of the greater Maker Movement and is described by the organisers as ‘the greatest show and tell on earth’. Some say that the Maker Movement is just a fancy term for generations of garage tinkerers who’ve been creating magic in the confines of their secret spaces for many moons. What’s different is that now all manner of co-operative creative spaces and talks are popping up to foster knowledge sharing and collaboration. Tech company KAT-O is the organiser behind many of these, hosting monthly #TechTalkCPT events designed to stimulate learning and debate. The last talk focused on equipping creatives with the necessary skills to survive a robot uprising – vital advice for bot-building makers. Aside from the talks, KAT-O’s Robyn Farah also hosts Modern Alchemists meet-ups, which facilitate regular get-togethers for innovators from multiple industries. During these sessions, people can bring their projects to a common space in order to share ideas and advice, whilst whittling and working away. Are robots coming to our country? Only time will tell, but the idea certainly gives one a tingling of excitement and anticipation, which is really what the movement is all about. For Robyn, the real joy comes from providing a space and platform for people to develop and earn a living from doing what they are most passionate about. There’s a theory that the greatest form of philanthropy lies in doing and sharing what you’re best at – whether that’s building circuit boards or popcorn-delivering drones (please someone, make me one). We tend to limit the scope of our own imaginations so this is an opportunity to rediscover our capacity to dream, be silly and have a bit of fun. If you’re interested in joining the movement or simply attending a #TechTalkCPT or Modern Alchemist event, then get in touch with Robyn Farah at robynfarah@kat-o.net.